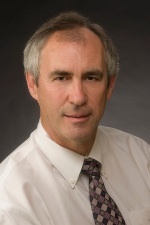 David Hanscom, MD, an orthopedic spine surgeon in Seattle, recently published a book about treating chronic pain using the mind/body connection called "Back in Control: A spine surgeon's roadmap out of chronic pain." In the book, he discusses some of the issues with treating back pain today and how patients and providers can partner for better pain relief in the future. "Most of the time, we are making the wrong diagnosis," says Dr. Hanscom. "It's my feeling that most chronic pain originates from the soft tissues or is a manifestation of the Mind Body Syndrome. The brain can create pain with there being a source. If we do a structural operation for soft tissue problems, it doesn't work. Surgery for non-specific LBP has a 25 to 30 percent success rate and re-operation rate of 15 to 18 percent within the first year. If the medical world could really understand the mind/body syndrome, we could save billions of dollars we are currently spending on treatment without getting to the root cause of back pain." Here, Dr. Hanscom discusses treating back pain and where the mind/body treatment is headed in the future. Q: What are your goals when you are working with patients who have back pain? Dr. David Hanscom: My personal goal to give patients the tools to treat chronic pain themselves. Even if surgery is required the soft tissues and nervous system must be addressed. Then I want to give them the knowledge to make surgeons accountable to them. I still do a lot of surgery because surgery works well for structural problems, but my biggest plea to surgeons is to quit doing surgery on non-structural processes. Do shared decision making with patients. Q: How can these issues be fixed? DH: Surgeons become so busy that we are making decisions without understanding our patients very well. I had a patient recently with radiculopathy who had a lot of pain, but it wasn't bad enough to perform surgery. We see a structural problem and the patient hears the surgeon thinks they need surgery, but really the patient needs to decide because they are the ones who have the pain. Whether the patient has a structural issue or non-structural pain impulses, there's a programmable pathway for pain relief. Just like riding a bike, if a patient continues in pain it becomes permanent in a few months. Q: Are there any alternatives for these patients who are in pain but aren't indicated for surgery? DH: The only other alternative you have is to create detours around the pathways that are there. You can create pathways around them by retraining your brain for a different route. The exciting thing for us is we see patients' pain go away. I would say the average is about three to six months for pain relief, but they see change in two to four weeks. When I see patients who are fully engaged, it's not a measure of "if," but a measure of "when." There are people who get better even a year or two later. You understand the variables that impact pain and you have to address all the variables at the same time to calm the brain and nervous system. Q: What will it take to shift more people in this direction? DH: I think it's a big paradigm shift; it really is a self-directed pathway. Surgeons who engage in these tactics become more time-efficient. It's counter productive to spend time as we do now because it's the patient's responsibility to get better. You become a coach and a cheerleader; the entire energy process of the mind gets better. Mind-body principles are one effective formula and most practitioners that use these principles will have success. Right now in medicine the system is built around treating symptoms instead of the root cause. But when the patient takes responsibility for themselves the services they need go down. A lot can be done in a group setting as well as patient conditioning and education. A lot of this can be incredibly cost effective but the resources aren't available.